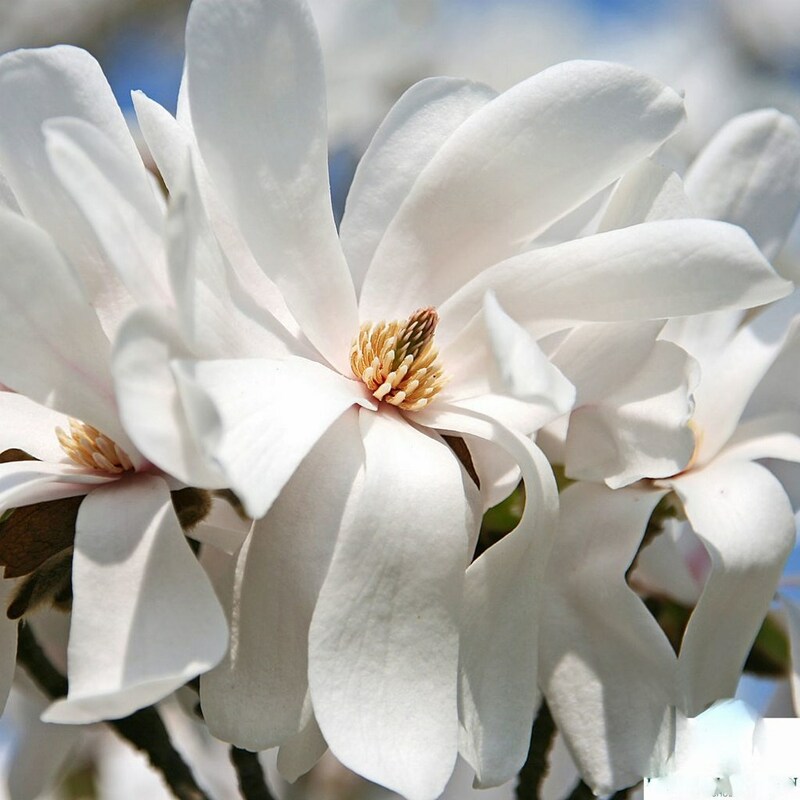 Merrill Magnolia is a small deciduous tree with oblong leaves. It has very pretty white flowers with a profuse floral display covers the tree in early spring. Magnolia x loebneri Merrill is ideal for a small garden as it is quite slow growing. The green leaves turn yellow in the autumn before falling. It thrives best on free draining soils and will tolerate lime though like all magnolias prefers it acid.